Ahem – anyone still here? So, I figure when blogging friends start emailing to ask if I’m OK it’s probably time to update the blog. I’m struggling to find a balance between work and blogging and life in general. The garden has been good to us this summer. 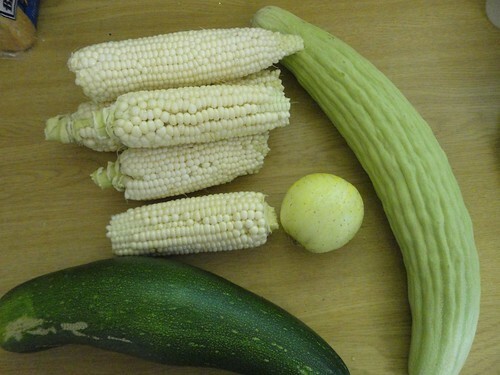 The corn was really tasty, we had lots of zucchinis until the heat got them. The round cucumber is an apple cucumber, really delicious and the long light green cucumber is an Armenian cucumber also very refreshing. In addition to this we had lots of yellow cherry tomatoes and some yellow mystery beefsteak tomatoes that were huge, some snake beans and lots of potatoes. Everything is winding down now as we hit the real heat of summer. Many of you know that I am from Queensland. Being in South Africa watching the floods was difficult. 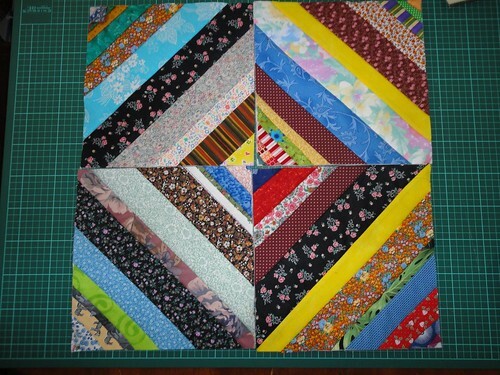 I made some quilt as you go quilt blocks and sent them to this amazing lady. This was my first time trying quilt as you go, and I have to confess that these blocks took me much longer than they should have and I didn’t get to make as many as I would have liked to. In addition to making/collecting quilts and blocks for Queensland and Victorian flood victims, Jan is also accepting blocks and quilts to be distributed to those in Christchurch, New Zealand. A while ago I went to a batt carding workshop. 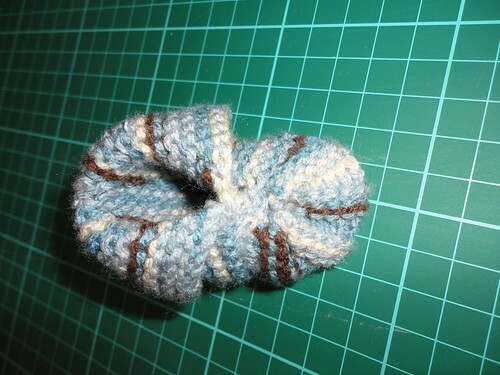 I had the urge to knit the resulting yarn but since the batt was only 28 grams I didn’t have much yarn. So I made some small booties. The white is a commercial yarn to make my handspun go further and help it ‘pop’. 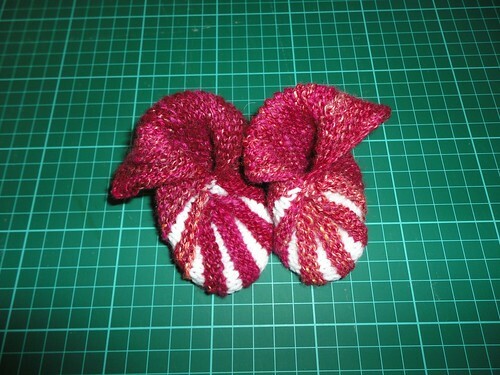 I also made some booties (at Gorgeous Girl’s request) for her doll. I have a stash-buster blanket blocking as we speak. Hopefully I won’t take as long to update the blog next time.